Are you looking for a job to serve society? Here is an opportunity that the West Bengal Government gives you. 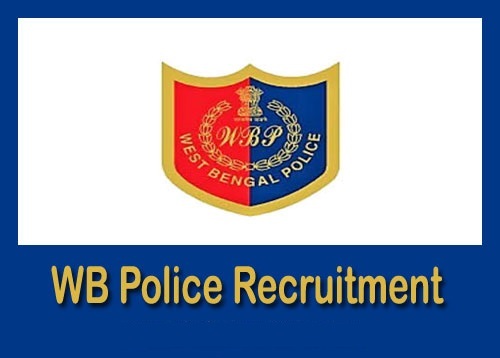 West Bengal Police (WBP) invites applications for the post of Excise Constable for fill 3000 vacancies in the state. You may have a look at the notification and if you are qualified for it, you may apply for the job from 11.03.2019 to 10.04.2019. The application is available on the official website. It is required for the candidates to pass Madhyamik Examination and certified from the recognized board. The age limit is encouraged only from 18 to 27 years. The selection is based on the written test, PMT, PET followed by an interview. When the candidate is selected he or she will be appointed anywhere in the state. Aspirants may submit the application both online or offline mode. The applications that reach after the last date (i.e. 10th April 2019) will not be considered. The aspirants may have a look at the official website for the further information for the like upcoming vacancies, latest notification, merit list, selection list, admit card, call letter, etc. all the required information will be published in the official websites for the West Bengal Police Excise Constables Recruitment 2019. Have the look at it and keep preparing for the exam and following tests to achieve your dream job. Job Type: Defense Jobs/ State Govt. Languages: The competence of a candidate in Bengali/ Nepali language will be tested at the Preliminary written test. Offline: Eligible and interested candidates can send the application along with the necessary documents to the postal address on or before 10th April 2019. The salary for the West Bengal Police Recruitment 2019 will range from Rs. 5,400 to 25,200. Step 2: Click on “Recruitment” you will find the advertisement of “Recruitment to the post of Excise Constable (including Lady Excise Constable) in the Subordinate Excise Service under Finance Department, Govt. of West Bengal”. Now, click on that, read the notification completely. Step 3: Enter the required details appropriately and make payment.